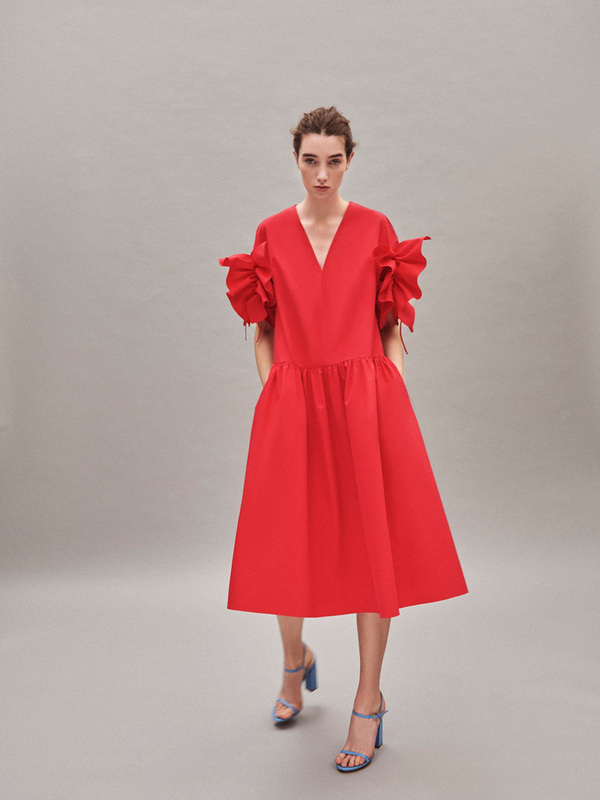 Delpozo Pre Fall 2019 breathes lightness. Like turning the pages of a brand-new book, the crisp current of a stream, a hot air balloon rising. 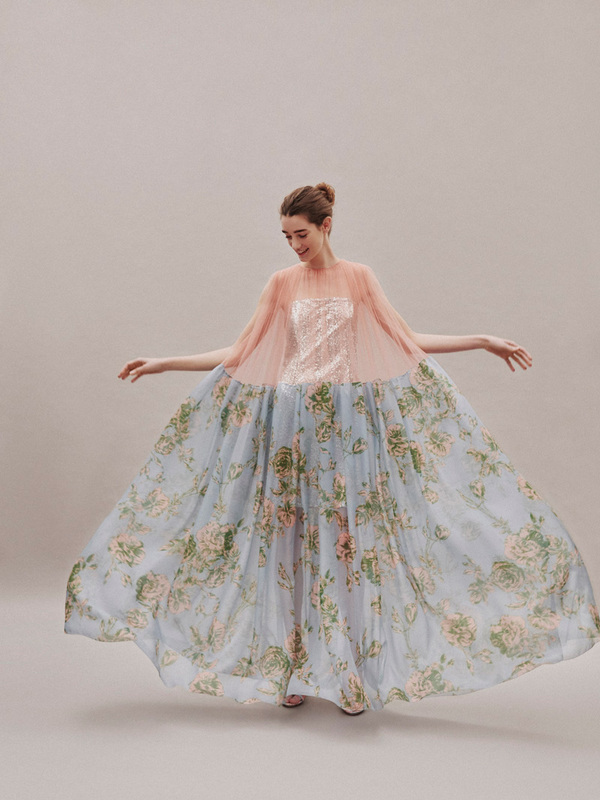 Soft and airy silhouettes predominate this collection as if a whimsical breeze was blowing through them. 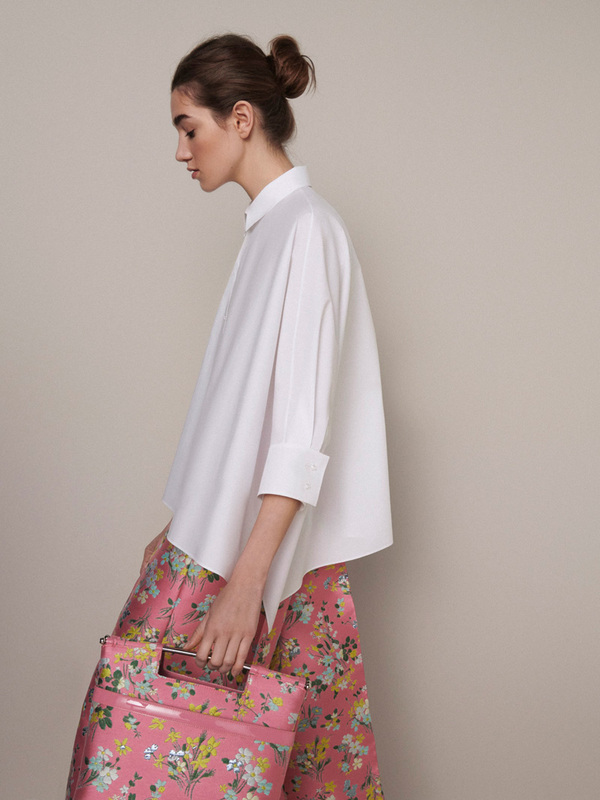 Floral prints in cotton jacquard transferred on outerwear as well as on accessories, create a complete total look with a trompe l’oeil effect: what is what? A tailored jacket, pleated trousers, round toe brogues and a handbag. All in one, yet with depth. Trench coats and overcoats for the in between season in crepe viscose and in gabardine fabric: for windy days, and sunny evenings. 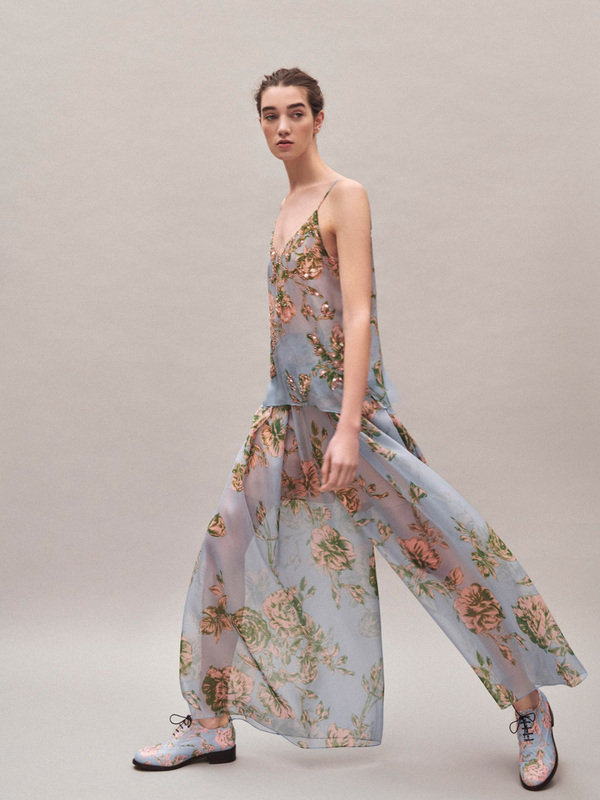 Delicate tulles and printed organza silks are reserved for special occasions, while a bubble gum pink tartan is the finishing touch for Delpozo’s daywear in an oversize coat as well as a midi dress. 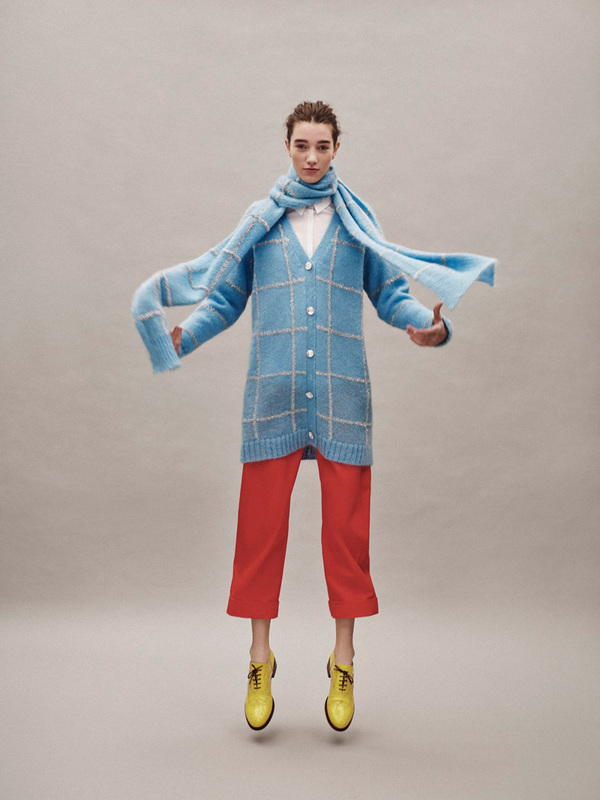 A warm and fuzzy wool mohair with lurex scarf wraps around those fall mornings which are combined with different knit silhouettes as turtle necks or button-down sweaters. 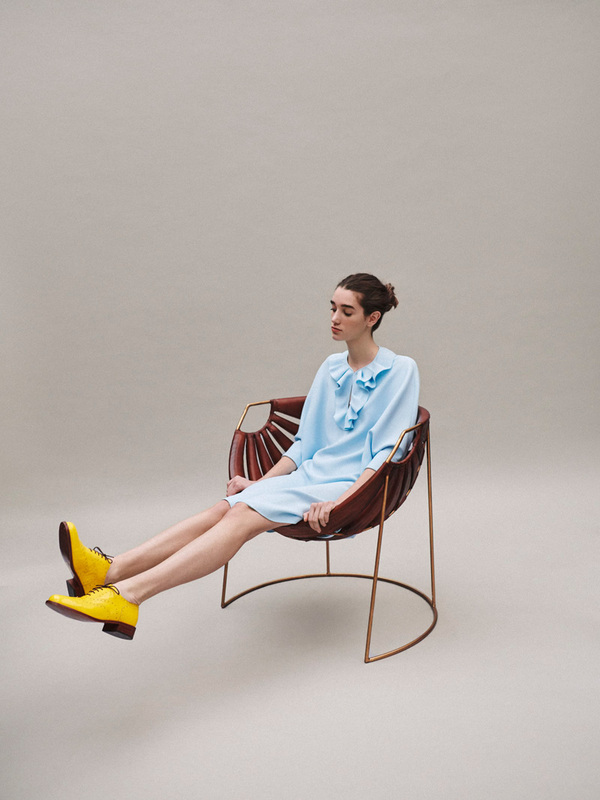 The round toe brogue and the boot are new shoe launches for this season, along with strappy sandals which let in the cool breeze on warmer days.